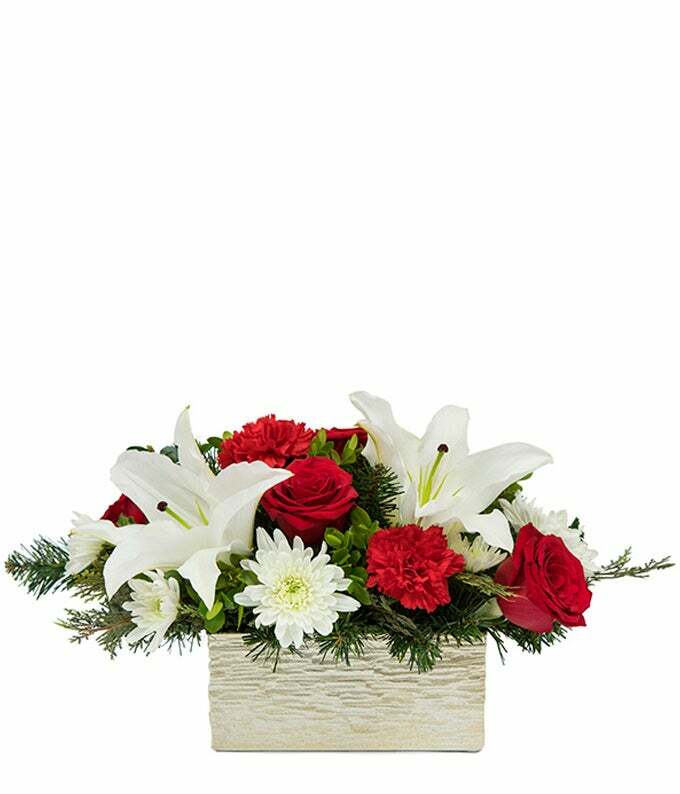 This lovely holiday bouquet arrives filled with red roses, lilies and more! Sure to delight anyone on your list, this hand crafted arrangement is delivered right to there door! Arrangement Height 17", Length 13"